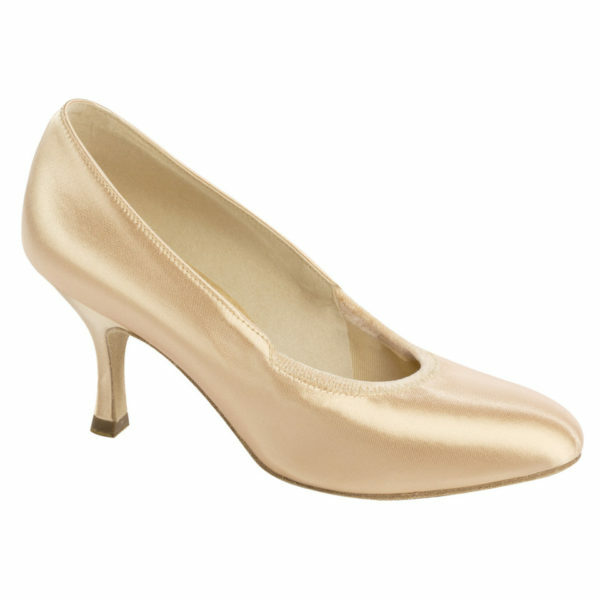 A popular rounded toe elasticized court shoe. The elastic looks smooth when on the foot. NOTE: English to American Sizing is approximate. The information is shown as a guide only and not a guarantee. Actual fitting may vary. Available in American 4 thru 11 in Medium Width and American 4 thru 10 in Narrow and Wide Widths. All in a 2″ or 2.5″ Contour Heel. NOTE: English to American Sizing is approximate. The information is shown as a guide only and not a guarantee. Actual fitting may vary.